CVS930010: Purpose of this WARNING label is to be placed at inlets and on troughs and covers of drag conveyors to provide warning against cover or guard removal while in operation. (3″Wide x 6″ High) CEMA STORE. CVS930011: Purpose of this WARNING label is to be placed on inlets and discharges, troughs, covers and inspection doors of screw conveyors to provide warning against exposing moving parts while in operation. (3″Wide x 6″ High) CEMA STORE. CVS930012: Purpose of this WARNING label is to be placed on intakes, bolted guards and panels, hoods and doors of bucket conveyors to provide warning against exposing buckets and moving parts while in operation. (3″Wide x 6″ High) CEMA STORE. CVR940019: Purpose of this DANGER label is to be posted in clearly visible locations on both sides of any access area of palletizers to warn personnel of being crushed by the operation in the host area. (3″Wide x 6″ High) CEMA STORE. CVS950020: Purpose of this WARNING label is to be placed on removable guards to warn that operation of themachinery with guards removed would expose chains, belts, gears, shafts, pulleys, couplings, etc., which create hazards. (3″Wide x 6″High) CEMA STORE. CVR950024: Purpose of this CAUTION label in such cases where control enclosures contain wiring which is interconnected to a power source not disconnected by the disconnect switch which opens the subject control enclosure, this label is to be posted at the disconnect switches to insure that all sources of power and locked out before servicing is performed. 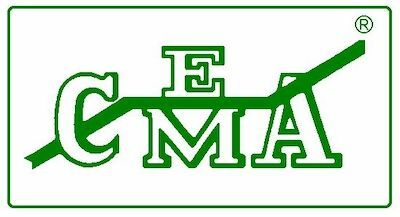 (3″Wide x 6″High) CEMA STORE.